Besides having a user-friendly UI, what we like about Wunderlist and where it stands out is the ability to share customized lists with anyone you want. You can also sort them by topic in the case so you can easily figure between your personal and professional life for example. The app is packed with small features that make organizing easy like adding images, setting up reminders, etc. Some efficiency apps often take too much time which beats the whole purpose but luckily, developers made it sure you save more time than you spend on organizing your day with Wunderlist. One thing the app could use in our opinion is the ability to sort lists by alphabetic order. At the time of writing this review that’s not possible although it could be helpful. We found ourselves spending precious seconds finding something we added when it could’ve been so much easier if it was sorted. Nevertheless, besides this minor “flaw”, the app is a great way to organize your day. If you’re all about organizing just your day, Todoist might be a better choice. This app focuses on organizing everything at the moment. For instance, if you suddenly get an unexpected meeting, Todoist’s UI makes it super easy to add to your list in a second. It’s extremely intuitive to the point where it feels you only have to take out your phone and put it back the second later. Everything seems to organize on its own and you have to do is some minor adjustments at the end of the day to have everything 100% sorted out. As a useful note, there’s a desktop version as well you can easily sync with your mobile app. The only problem came with a recent update where for some reason it became hard to view the complete list. Let’s say you have a really long list of groceries for instance. Earlier, you could get the whole list with a single tap, but recently, there’s been some possible bugs that don’t allow that. We’re sure it will get fixed quickly, but it is something we feel we should note. If you’re a person who likes to plan in advance and we mean way, way in advance, try TickTock. It might sound overwhelming but again, it’s all about the UI with to-do apps. TickTock UI is designed so you can instantly get a clear overview of your day, week, month and even the year. This makes it super easy if you’re planning to take a trip in the next 6 months and you don’t want to forget. With just a few swipes you’ll instantly know plans you made in a specific time period. One minor “flaw” is the fact the app is a bit more expensive than similar ones. Since you can create a limited number of tasks, if you’re a big planner, you’ll have to pay. We think it’s definitely worth the money, but just keep that in mind. If you need an app just to organize a couple of days, we suggest going with one of the two above. But if you’re a really big planner, the money you’ll invest in TickTock is probably worth it. Organizing your day is important if you want to remove stress and have time to simply relax. There are many powerful tools to help you with that, but you should look for an app that works best for you since each one is different. 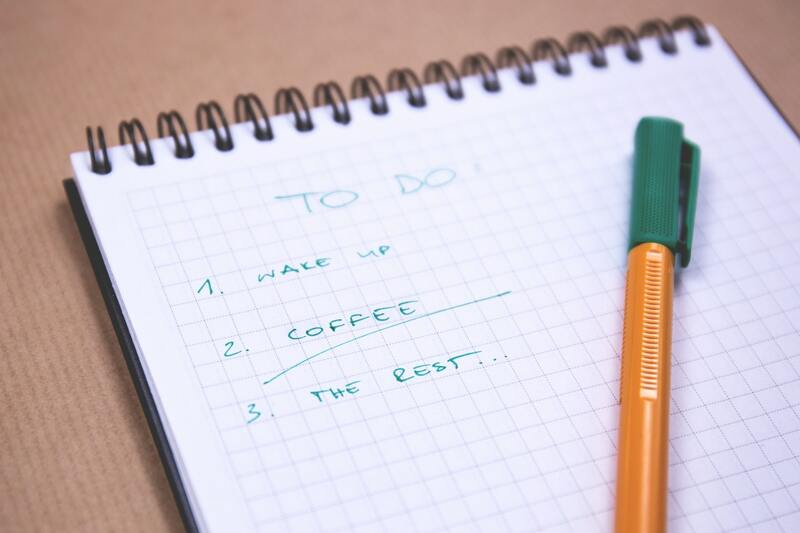 We hope our list will help you pick the right one and that it will make your life a lot easier than it was. Let us know how your experience was. Good luck.